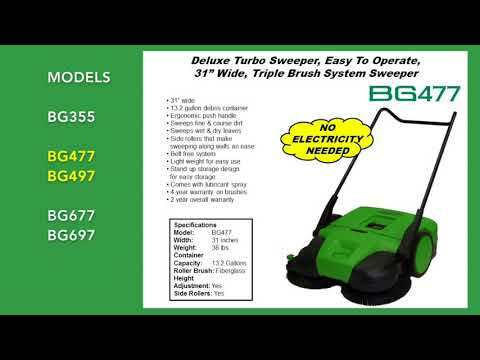 Deluxe turbo sweeper, easy to operate, 31" wide, triple brush system sweeper. The patented turbo sweeping system sweeps twice with one move! 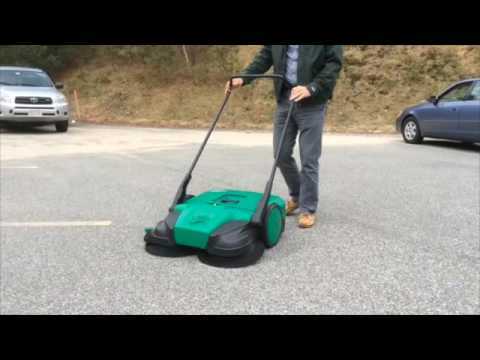 The two front brushes rotate in opposite directions grabbing the debris directly in front of the sweeper while the brush roller on the bottom picks up all the fine particles, all the debris is then deposited into the large easy to empty 13.2 gallon container. No electricity needed.